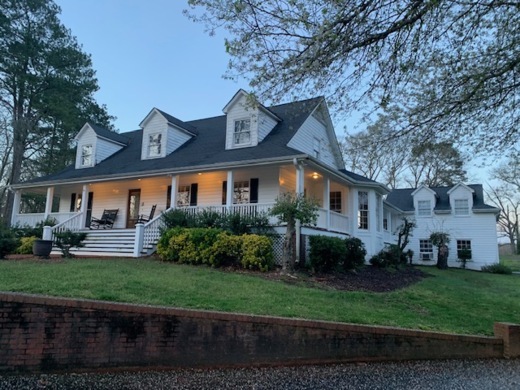 Enchanting Cape Cod poised on 2 acres surrounded by family pasture land in sought-after Hickory Flat! Main level master retreat. Loft sitting room. Finished basement complete with office, den, flex space & full bath plus storage/garage area. Cheery sunroom overlooks in-ground pool! Detached garage offers upstairs bedroom & bath with private deck. Barn with power could easily be converted to stalls again!